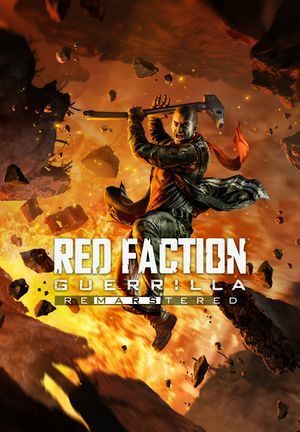 For the original release, see Red Faction Guerrilla. Remaster of Red Faction Guerrilla featuring higher resolution textures, more stable framerate timing, and improved shadows, lighting and shaders rendering. 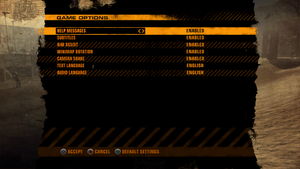 Bundled with the original Red Faction Guerrilla. 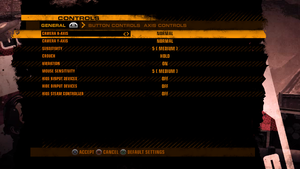 The game was granted to all owners of Red Faction: Guerrilla for free. Native support, but it renders in higher vertical resolution than it should by roughly 1.6%. 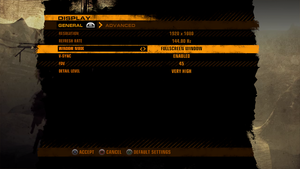 For example, for 2560x1080, the game renders at 2560x1097 and scales it down. Can be adjusted from 45 to 85. 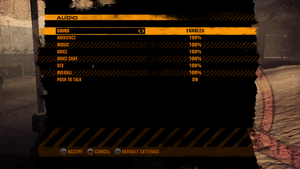 Up to 60 in multiplayer. Frame rate capped at 250 FPS. 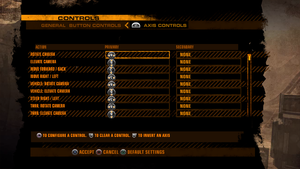 Option to disable XInput, DirectInput or Steam Input. 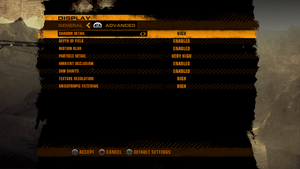 Input mode is selected based on initial input at splash screen. If keyboard is used, controllers are disabled. Gyro support added in Patch #5. Ambient, music, voice, voip, effects and master. ↑ 1.0 1.1 File/folder structure within this directory reflects the path(s) listed for Windows and/or Steam game data (use Wine regedit to access Windows registry paths). Games with Steam Cloud support may store data in ~/.steam/steam/userdata/<user-id>/667720/ in addition to or instead of this directory. The app ID (667720) may differ in some cases. Treat backslashes as forward slashes. See the glossary page for details.